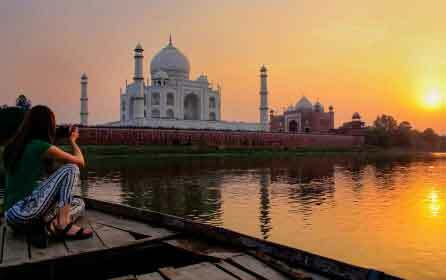 The Golden Triangle Tour India has long history when it comes to Indian Travels. It is also one of the hottest destinations for Indian as well as International tourists alike who would want to get a glimpse of North Indian heritage. For all those who are passionate about architecture, this Golden Triangle Tour India is a perfect choice for the tourist who visits three major cities in India. Enjoy the most demanded India Golden Triangle Tour Package which covers three major cities- Delhi, Agra & Jaipur. Explore the World Heritage Sites in India like - Taj Mahal, Agra Fort, Sikandra Tomb, Fatehpur Sikri etc. Right from Red Fort in Delhi, Hawa Mahal in Jaipur and the amazing wonder Taj Mahal in Agra, it is an absolute delight to eyes and triggers intellectual curiosity about the rich history. This sublime region is also a land of versatile food such as chat walas in Delhi, peetha in Agra and Jaipur's exotic Rajasthani cuisine. Perfect Agra Tours brings you a seamless travel experience spread over Golden Triangle Tour 6 Days through this magical triangle area. It provides the amazing journey in India. So you can enjoy this tour package in India with your budget. The journey begins from the classy capital of India where our representative will pick up from Indira Gandhi International Airport and reaching the hotel. After the check in formalities, there is ample time to spend some leisure in the brilliant capital followed by an overnight stay with sumptuous lunch. Delhi is known for its amazing history and culturally appealing monuments. In fact, every street in Delhi has some story to tell about its former rulers and kings. It is also a place of religious importance and a wide variety of cuisines. While it is technically impossible to explore entire Delhi in a single day, we bring the best of this fantastic city beginning from India Gate which was constructed in the memory of Indian Air Force employees, and Raj Ghat- the resting place of Father of the Nation- Mahatma Gandhi. 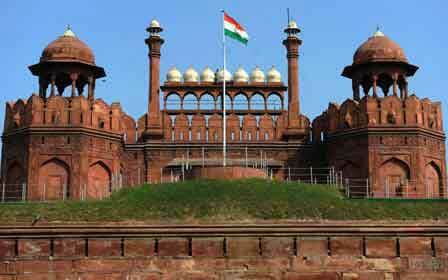 A visit to the Red Fort brings back the glory of Mughals who constructed it hundreds of years ago and now an important administrative building for the Indian Central Government. A blissful drive via Rashtrapathi Bhavan leads to the exquisite Old Delhi where Qutub Minar, the tallest monument in India is covered. Followed by this historic wholesomeness, it is time for delicious lunch and some good shopping in Chandi Chowk area. After dinner, ample time for rest back in the hotel followed by dinner is provided. The trip begins early in the morning to Agra which is over a distance of 250 km and covered in a duration of three hours on the flawless roads of Yamuna Expressway. After hotel check in and some leisure, Agra Fort which is constructed by Emperor Akbar is visited during the pleasant hours of the evening. Baby Taj- a smaller replica of original Taj Mahal is also visited which happens to be the tomb of Itmad-Ud-Daula. After visiting Akbar's Tomb, the stage is perfectly set for the moonlight view of Taj Mahal in the night. The legend says that Taj Mahal changes its colors based on the moods and emotions and moonlight enhances this look thousand fold. It is a dream like experience to watch Taj Mahal over the moon light. Followed by this unforgettable experience, dinner and overnight stay at hotel is provided. Another glimpse of Taj Mahal in the midst of sunrise is covered and after breakfast at the hotel, the trip leads to the capital of Rajasthan-Jaipur. On the way,Fatehpur Sikri , an exotic Mughal town is covered and after reaching Jaipur, a comfortable overnight stay is provided at the hotel. Jaipur provides the amazing and most delicious food ever and after having such breakfast in the morning,a hilltop fort named Amber Fort is covered. It is massive with numerous courtrooms, excellent architecture and it happens to be the fort of Kacchwaha Dynasty. It is time to visit Hawa Mahal (A crown shaped five storey building which is also called Palace of Winds), City Palace, Jantar Mantar, Govind Ji Temple and Swargasuli- which are must visit places in this pink city. The evening is eventfully spent in Chokhi Dhani, a beautiful village in the outskirts of Jaipur. A special cultural programme is seen savouring daal baati-churma: a famous Rajasthani local dish combo. After a day well spent in Jaipur,a well rested overnight stay at a hotel is arranged. After a relaxing breakfast in Jaipur, the journey back to the centre point- Delhi is done via road where 250 km distance is covered in a duration of five hours. The representative will be ready for you either at the hotel or airport. 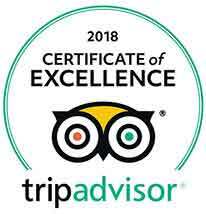 We hope an unforgettable travel experience is provided by us to you. 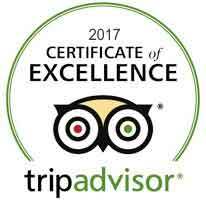 Thank you for choosing us for making amazing travel memories in this Golden Triangle tour 6 Days 5 nights trip.